This is Becky’s version of crock pot chocolate lava cake. She recommends serving it with a scoop of Vanilla ice cream. I can NOT wait to try this. Thanks for sharing Becky. Prepare cake mix into batter using eggs, oil, and water. 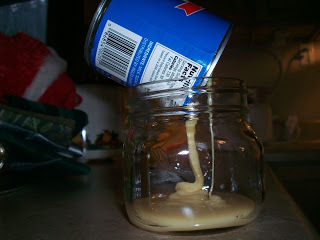 Pour into greased (see note below) 4 – 6 quart crock-pot. Cook in crock-pot on high setting for 2 1/2 to 3 hours until cake is moist but not jiggly, and little volcanoes of spitting chocolate appear on top. Serve with ice cream, whipped topping, or on its own for a really special dessert. 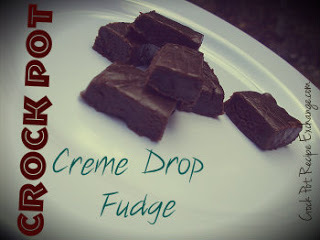 Thanks again Becky for sharing…… I know there will be a lot of happy chocolate and crock pot lovers. ﻿This recipe shared at Tuesdays at the Table, Saturday’s Party, Potluck Sundays, What’s Cooking Wednesday, Friday Food and Food on Fridays.